South Carolina Homes & Land Realty, LLC. Sheryl recently relocated to the Midlands from Pawleys Island, SC. She was born and raised on the Carolina coast and enjoys the beach as well as the river. She is the proud mother of three wonderful children and one amazing granddaughter. Always energetic, she enjoys fitness and a variety of outdoor activities. 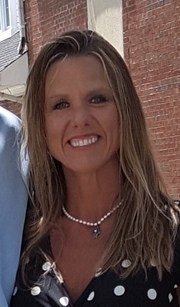 She is excited to be part of The Lance Woodley Team at South Carolina Homes & Land Realty LLC, and looks forward to assisting you with any of your real estate needs.